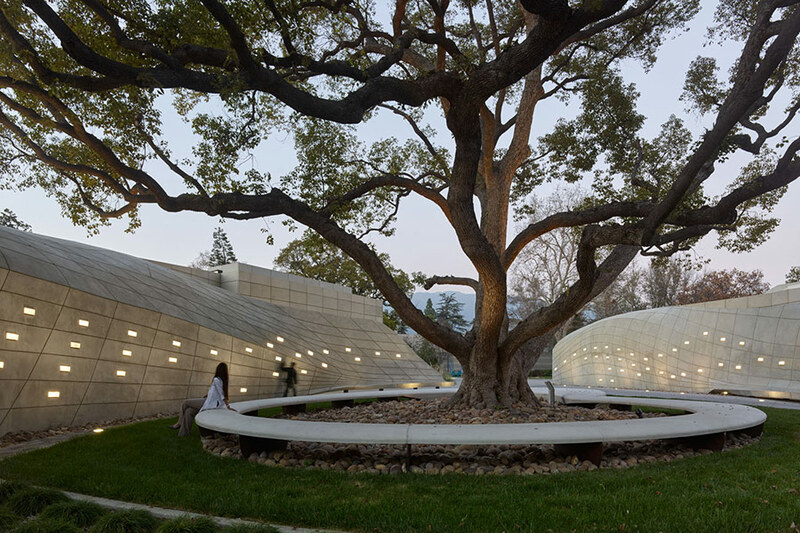 The museum’s interior reflects the region’s fluvial geomorphology and the transformation of the landscape from centuries of carving by the meandering river. 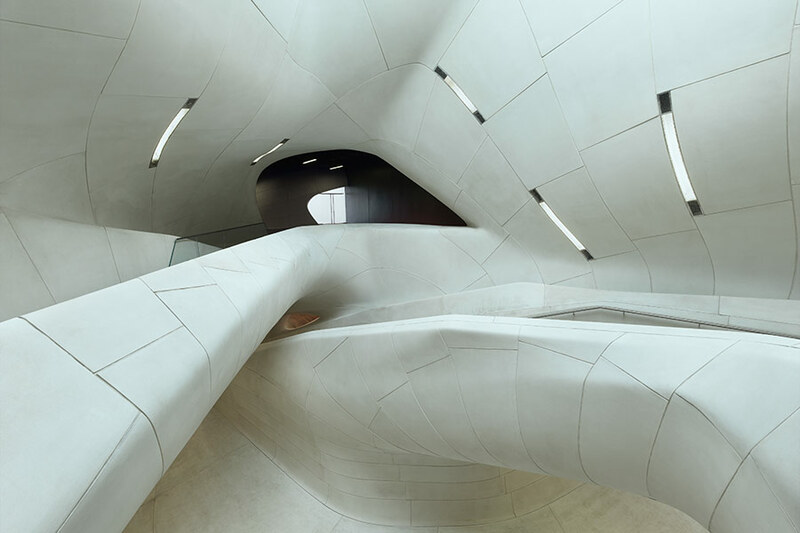 Sculpted from 1,250 unique cast stone panels, the interior seamlessly integrates building systems and serves as a canvas for potential exhibitions and films. 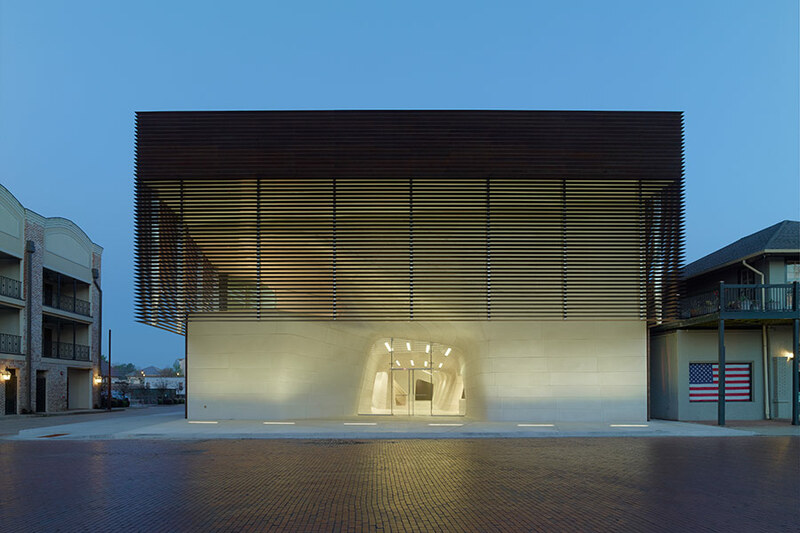 The simple, orthogonal container contrasts with the sinuous interior, highlighting the dialogue between the city and the natural environment. 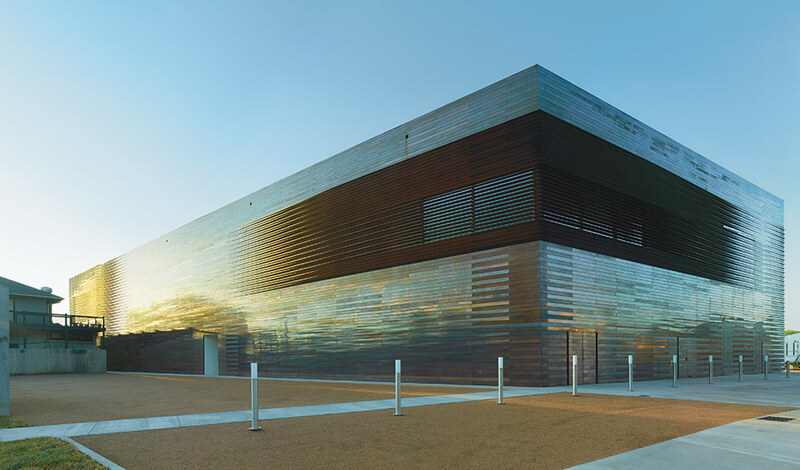 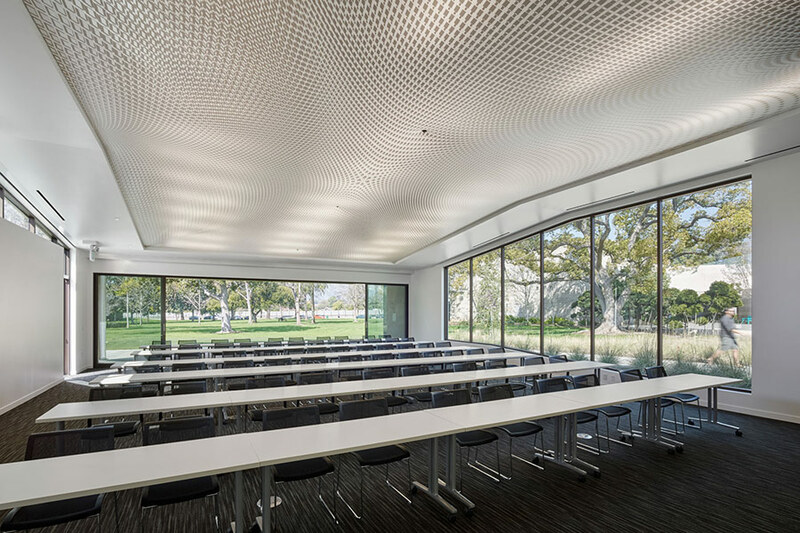 The exterior cladding of pleated copper panels employs surface articulation alluding to the louvers found in nearby plantations, used to control light, views, and ventilation.